Xiah Junsu (left) and Hero Jaejoong (right) are members of the K-Pop band JYJ, which has a saesang following. As an overly passionate, silly geek, when I like something, I don't just "like" it. I tend to get excited in a very specific way, going into full fan mode fairly quickly (see this drawing for a visual explanation). Once I get rolling, I become a constant broadcaster, excitedly telling my friends about my newest obsession, while I wave my hands around in the air for emphasis. This excitement is called "fangirling" (or fanboying, as the case may be), and it's fairly common behavior when it comes to the nerd world. In fact, it even extends beyond nerds: Stamp collectors, vintage record experts, and doll fanatics have their moments, too. We all light up when we get a chance to talk about the thing we love. When we share our enthusiasm, we welcome another person into our inner circle. Sometimes, though, in the midst of marathoning yet another Asian drama with impossibly good-looking leading men, I'll catch myself wondering: Is my fandom escapism? And can it go too far? Will Japan follow America's lead on digital manga? In most cases of what's hip and new, the Japanese are ahead. Otaku worship their eye for culture for a reason, after all. But it just might be that that same culture is what holds them back when it comes to a landscape that Americans are quickly becoming intimate with: the digital format. As we move bravely into the digital age and face cries of "Print media is dying!" 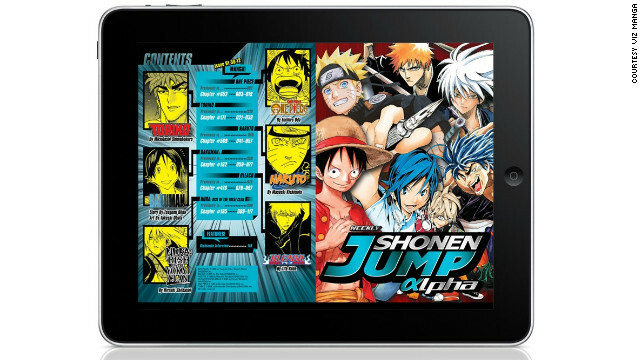 it's no surprise that manga is popping up on more iPads than ever before. And Americans love it: The more easy access we have to our favorite media sources, the better. On the other hand, a country like Japan that is known for its deeply entrenched traditions may not be as easy to convert. After all, modern manga debuted there in the '40s, but its roots go as far back as the 18th century. It's not unusual to ride the subway in Tokyo and see people of all ages and stations in life with their faces buried in a hot-off-the-shelves copy of "One Piece" or "Naruto." The feeling of holding that trusty book in one's hand is a habit, a groove of comfort. And replacing it with a tablet presents more complexities to some longtime fans than one might think. 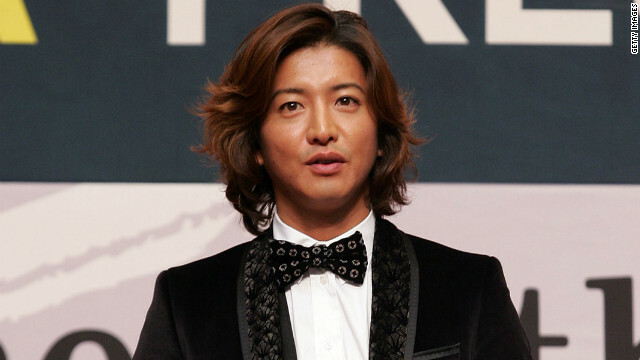 Japanese actor Takuya Kimura, who is also part of the popular Japanese boy-band SMAP, is a frequent star of J-dramas. Some fans remain firmly rooted in their love of anime for years. But more and more in America, otakus are discovering a form of Japanese television because of its sheer wackiness and anime-like humor. It's called J-drama (Japanese drama,) and it inspires obsessive dedication. J-dramas are daily or weekly broadcasts that make up a great deal of Japanese television programming. These are comparable to sitcoms and dramas that run in America, but they have their own distinct flavor. J-drama incorporates many different genres, from medical dramas to romantic dramas, and frequently feature Japan's most prominent stars in key roles. It's lovingly dubbed "J-Dorama," due to the way the Japanese pronounce the word. Since the Japanese syllabary consists of specific character sets, certain English words pose a challenge for them to pronounce. For example, Americans often notice something like a "U" sound added to the end of English words as spoken by Japanese (something fans often adoringly poke fun at). There is no character in Japanese for just the letter "D," but there is "DO," hence "Dorama." The U.S.-based fandom that revolves around J-drama is strong and well-organized online. Many websites cater to fans through extensive forums, offering outlets for fans to talk about their favorites actors, actresses and shows, as well as upcoming dramas to look forward to. There are multiple wikis cataloging J-drama releases each season, making it easy for a new fan to discover what they might like or make friends who can point them in the right direction. Other sites offer a guide to dramas by season that allows fans to keep an eye on what's up and coming all in one place. Colin Ferguson, left, star of "Eureka," at Dragon*Con. 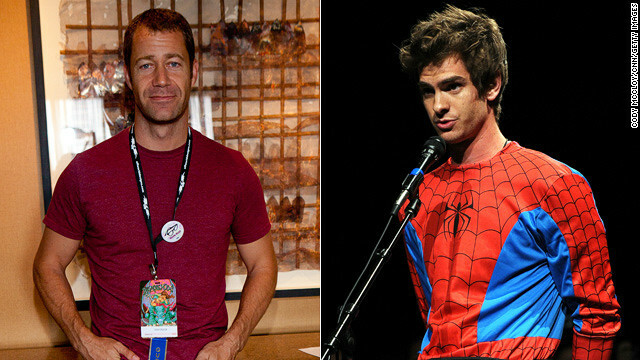 Andrew Garfield, right, delivered an impassioned speech at Comic-Con. We're pretty sure 2011 was a great year to be a geek. But with all of the amazing things we've witnessed in the nexus of nerd culture and mainstream pop culture, there were plenty of potential geek out moments that didn't quite work out. And then there were a few things this year that were just a mixed bag. Things got off to a rip-roaring start in the sixth season of "Doctor Who." We encountered the ominously creepy Silence, an “impossible astronaut” with murderous intentions towards the Doctor, and the constant foreshadowing of a fixed date when the Doctor must die. The episodes that followed maneuvered the twists and turns of Steven Moffat’s layered plotlines, and Matt Smith continued to reveal deeper and darker sides of our beloved Doctor. But perhaps the most brilliant gem was the Neil Gaiman-penned episode, “The Doctor’s Wife,” where the TARDIS comes to life in a beautifully poignant character, and we realize that she is the Doctor’s only constant. George R.R. Martin, author of "Dance with Dragons" and other books in the "Song of Ice and Fire" series. 2011 was a big year for geeking out (for one thing, this blog launched in 2011). The staff of CNN Geek Out had quite a few geek out moments but we picked just a few of the biggest ones to share with you as we say goodbye to this year. We’d waited six long years to hear those seven magical words. That’s what fantasy writer George R.R. 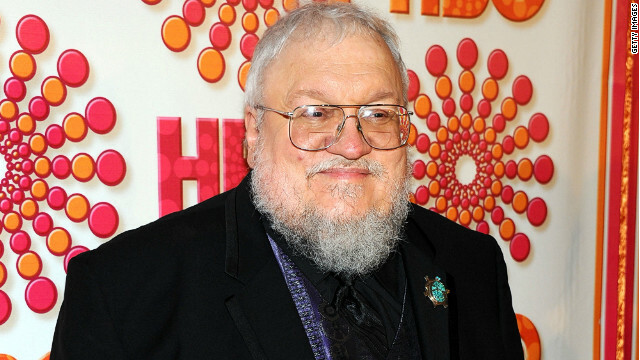 Martin wrote on his website in March, signaling that “A Dance With Dragons,” the fifth book in his “A Song of Ice and Fire” series, had gotten a July publication date. By this point, “SOIAF” had already leapt to the top of my list. I’d even committed the geek-sacrilege of suggesting it’s better than “Lord of the Rings.” The fact that Martin had taken so long to get this one just right only made the moment I learned that 2011 would mark a return to Westeros more of a rush. There would be more fantasy-geeking on my part when the book was actually released and was just as masterful as any of us could have expected. And, of course, there was the rush of seeing “Game of Thrones” adapted for HBO. But those seven words … yeah. That was big. Filed under: Dragon*Con • Fandom • Otaku • Squee!